Last weekend, we went to the annual “Washington Camping RV Expo” at the Dulles Expo Center. It was our second year in a row going to the RV show, and the second year in a row we detoured to Lost Rhino Brewing Company on the way home. We’re heading into our third summer as RV owners, and we love the RV show. We have fun checking out the new RVs and dreaming about a day in the future when we can upgrade our pop-up to a 5th-wheel or motorhome. The RV show also includes exhibtors – mostly local campgrounds enticing you to visit them over the summer. We picked up a lot of campground brochures and have a bunch of ideas for summer weekends in the pop-up. We already have four camping trips planned over March – June! After a couple of hours walking the RV expo floor, we were ready for a beer. 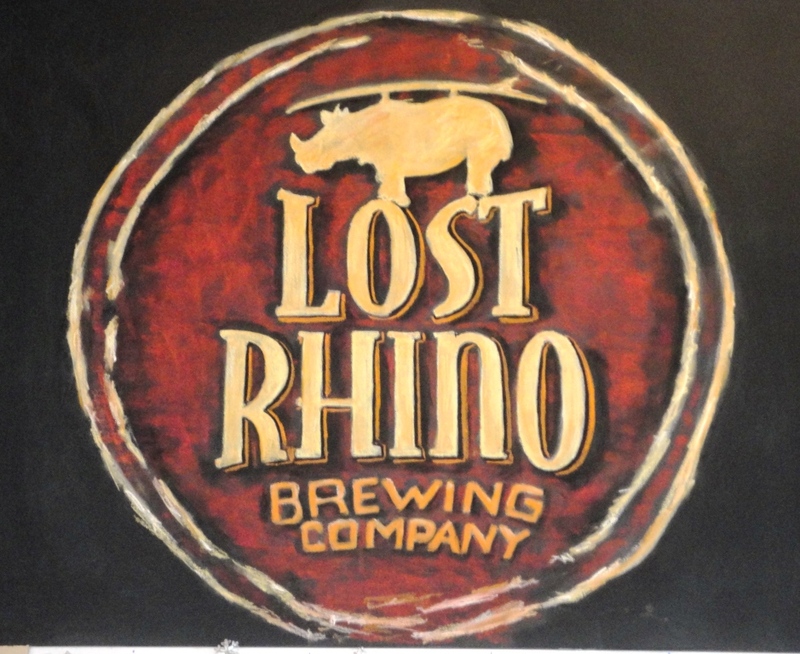 Lost Rhino Brewing Company is in Ashburn, Virginia, not far from the Dulles Expo Center. It’s in a new office/warehouse complex just off the Dulles Toll Road. We arrived right when they opened at noon and grabbed a table by the window. There were a lot of changes since our last visit. The biggest difference is that Lost Rhino now serves food. Last year, it was just a tasting room, but this year, we settled in for lunch and beer samples. 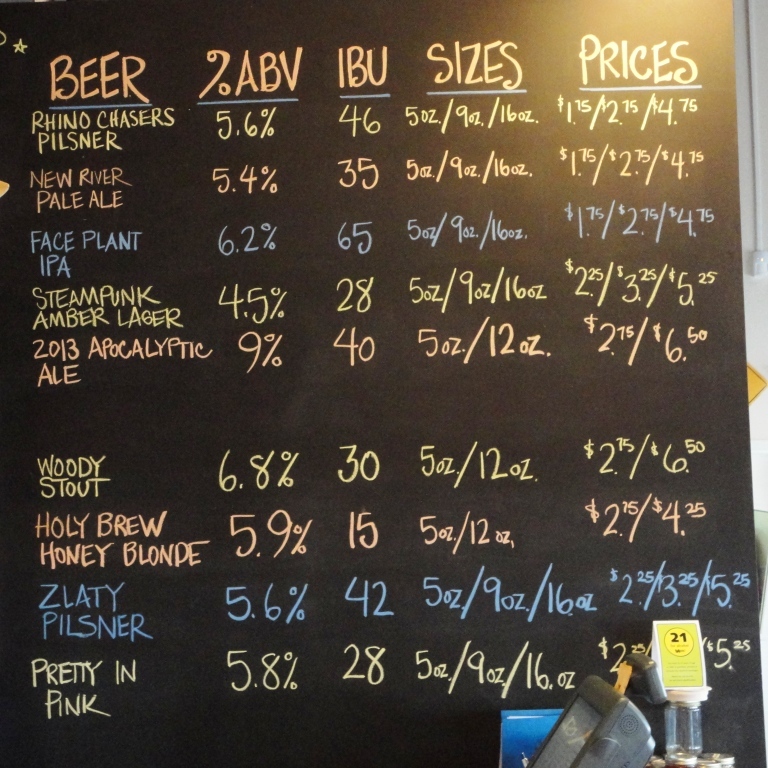 I didn’t order my favorite Lost Rhino brew and one my favorite IPAs – Face Plant IPA (6.2%). I had a few Face Plants last month at a holiday party at the American Tap Room in Arlington and as much as I love it, I decided to try some of the other beers on the menu. Since I knew I would be drinking the growlers during the NFL playoffs – when the beer tends to go down easy – I decided to take home the sessionable Steampunk and Honey Blonde. The beers were all solid, and the food was good too. Make no mistake, this is a brewery-first operation, so the menu is limited. My family loves sharing a plate a nachos so we ordered the Pulled Pork BBQ Nachos, and they were delicious and filling. Lost Rhino is only 32 miles from home, but it feels like it’s a lot further away. I really have no excuse for not getting out there more often – once a year is just not enough. 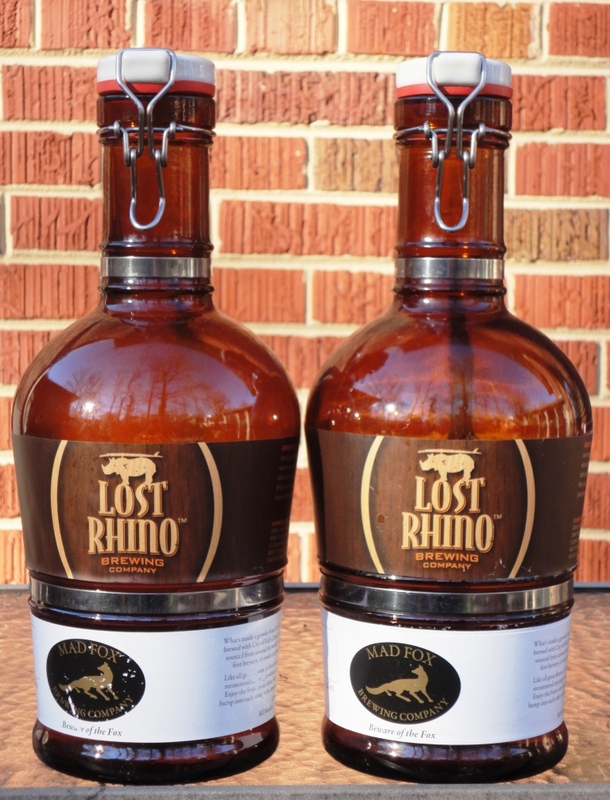 A goal for 2013: get back to the Lost Rhino!